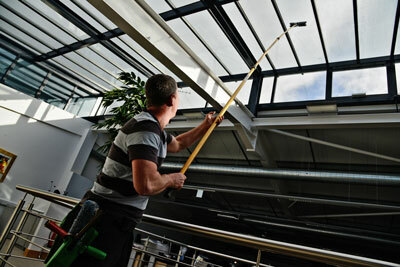 Here at Window Cleaning Plus Ltd we use the reach and wash system. This system is based on the use of cleaning with pure water without chemicals or cleaning agents. What is pure water cleaning? Water naturally contains all sorts of impurities such as limestone and nitrates and by putting the water through a de-mineralising process all the impurities are removed. The purified water is then capable of absorbing other impurities and when applied to a dirty surface it will lift the dirt without the need for chemicals or cleaning agents, or for scrubbing or wiping. The other advantage is that when the surface is properly rinsed you are left with a streak free sterile surface. Why use a reach and wash system? The system has great advantages, not only do the windows get thoroughly cleaned but the window cleaner has a much better job. Going up and down ladders is tiring and potentially hazardous, but with the reach and wash system the cleaning is carried out from ground level making it safer. Another advantage for the householder is there are no longer dents from the ladder in the bowling green lawn. 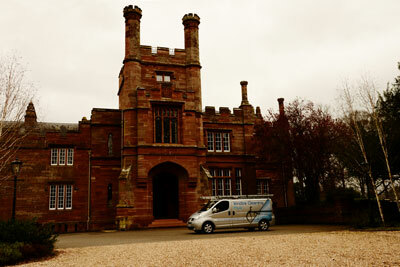 A large number of clients take advantage of us calling in cleaning the windows inside too. 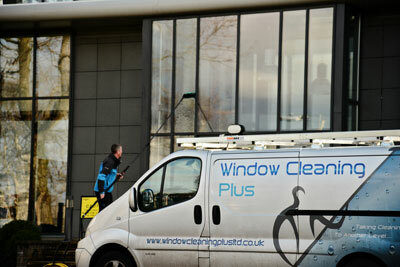 Many people lead such busy lives and cleaning windows is not normally one of those jobs that people enjoy doing. Also office cleaners are great but I’ve never met an office cleaner yet that can compete with a professional window cleaner. 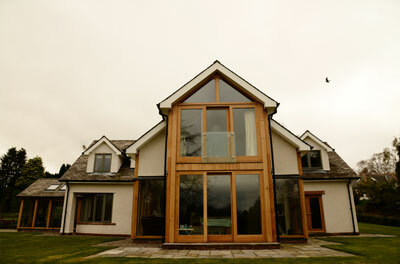 Since 1994 we have been cleaning domestic windows using traditional window cleaning methods. In 2007 we moved with the times using the reach and wash. We have a whole range of properties of various sizes. With modern designs featuring plenty of glass we often find ourselves cleaning buildings that traditional cleaners cannot reach.